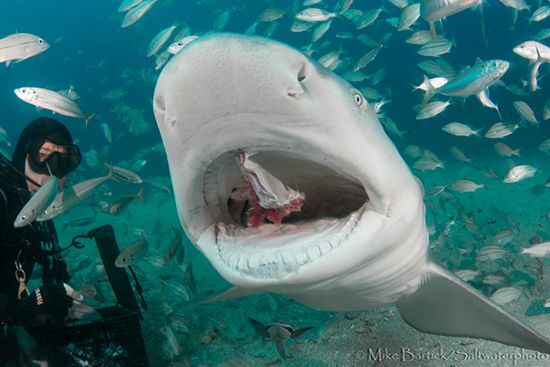 Groupers and Critters and Sharks, Oh My! The plan to visit Jupiter, Florida began to form just after the DEMA show in 2013. I had planned on heading down to dive the Blue Heron Bridge and shoot macro for a week, relax and attend a meeting at a local dive club. That changed quickly when my buddy informed me that September kicked off the beginning of the Goliath Grouper season and to be sure and bring my wide-angle lens. As soon as I arrived in West Palm, my buddy informed me that the swell had reached the 6 to 8 range - that’s 6 to 8 inches - and as we laughed, my phone came to life with text messages regarding meet up spots and dive times for that evening. 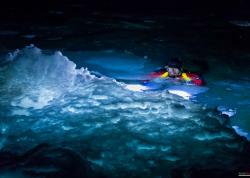 As we put our gear together, we formulated the best plan for the week: Dive, Dive, Dive. The Blue Heron Bridge (aka the BHB) is now well known in the macro photography community as a premier mini-muck dive, and while It may seem a bit novel, it’s well worth the trip to Jupiter for this alone. 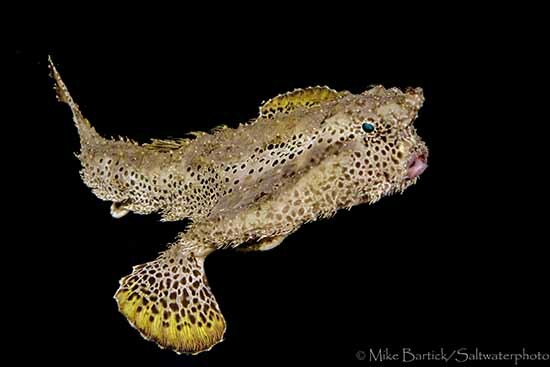 Flying Gurnards, sea horses, batfish, sea robins, stargazers, nudibranchs, frogfish and even hairy frogfish are all easily accessible just a few feet offshore and will keep you entertained throughout the entire dive. Be sure to check the tide tables for the best dive times, as diving is regulated here by swift current and visibility. 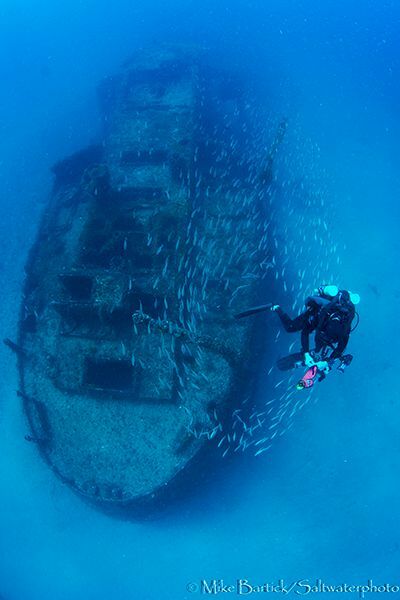 Jupiter is also known for its wreck dives, accessible from one of the many dive boats that operate 7 days a week during the summer. 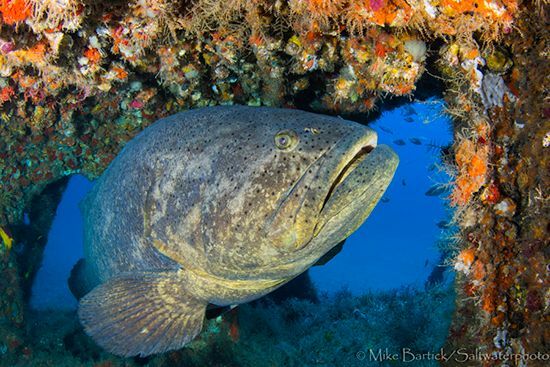 But August isn’t just summer, its also Grouper Season here in Jupiter. 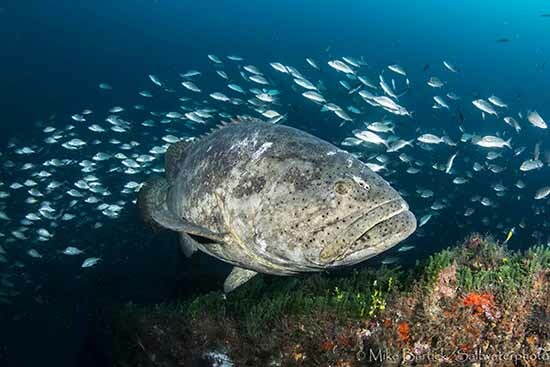 The Atlantic Goliath Groupers (Epinephelus itajara) gather to spawn and use the various wrecks in the area to shelter themselves. 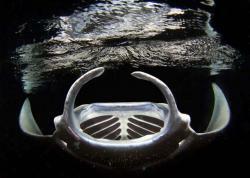 I suggest using a 60mm lens when diving the Blue Heron Bridge at least 3 of 5 dives. 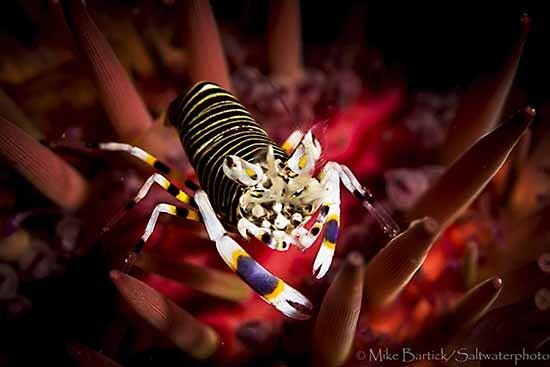 The critters that you will encounter are palm sized and larger. 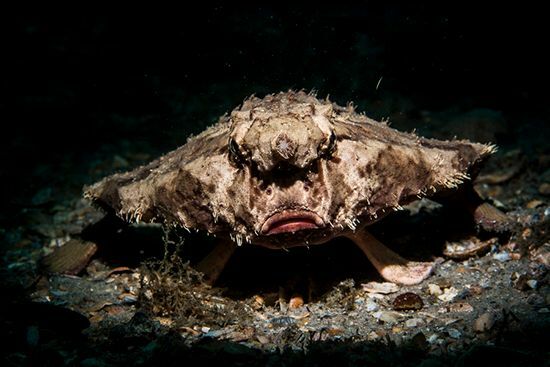 Batfish can be a bit skittish and like a seahorse they will continuously turn away. I used a snoot without a modeling light and tried to remain as quiet as possible with minimal movement. This batfish actually swam at my lens several times so I took advantage of it. My strobes are angled inward to help darken the background even more and to help make the colors pop. 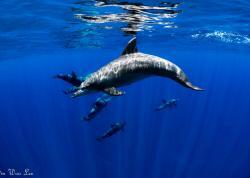 Listening carefully to friends, locals and even doing a little research will reveal some of the secrets at a dive site. These little kernels of insight will help you when your looking to shoot something that just a little different than everyone else. 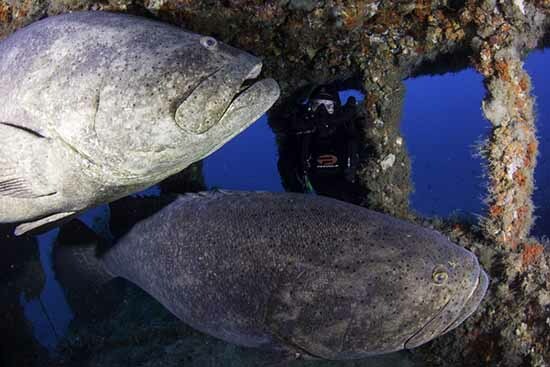 Buddy Walt Stearns peers into the wheelhouse of the Esso Bonaire, exchanging glances with a pair of curious Goliaths. The Esso Bonaire is one of the three wrecks laying in close enough proximity to enjoy in one easy dive. The wreck trek is comprised of The Jenny, the Zion Train and of course The Esso Bonaire. Framed by encrusting growth in the wheelhouse of the Esso Bonaire, a Goliath poses for me. Lighting in the background is essential and it is very important to keep the blues in the background bright and blue. Shallow F-stops and boosted ISO settings work well and will allow you to lower your strobe power. 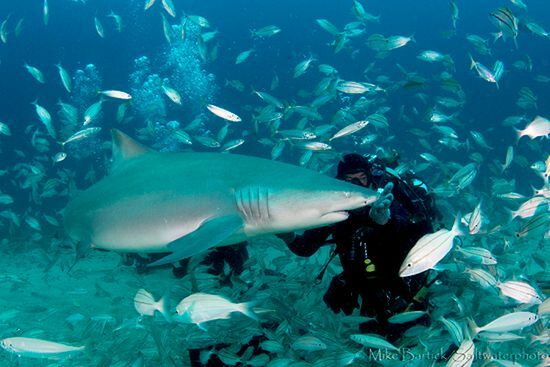 Florida is well known for its sharks and the possibility of encountering them while diving. We used a reliable and experienced boat called Emerald Charters for our shark trips and although it is controversial, the encounters will play out in your mind for many days to come. Sharks are truly beautiful, graceful, powerful and fast. When the action happens quickly anticipation is everything. Increase your ISO settings for faster shutter speeds and lower your F-stop to let in more light. Strobe power must be low enough for fast recycle times. Pole Position, shooting fast action means streamlining your decisions underwater. I set my Tokina 10-17 lens to the top of the zoom range and work the lens between 14 and 17. I rarely drop the lens to the 10.5 position unless the shark is literally right on top of me. 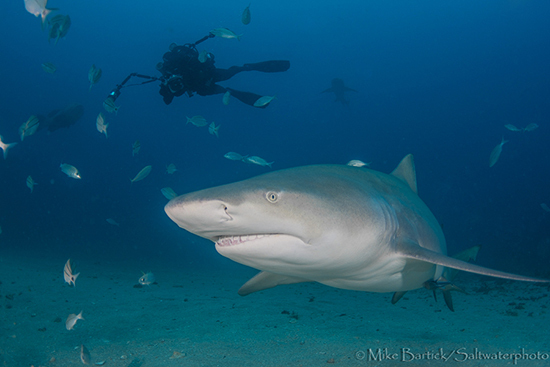 The best lenses for sharks are in the higher focal plane, 12-24, 17-35 and 22mm as this focal range will allow you to fill the frame with a decent working distance. Jupiter took me by complete surprise by dishing up some of the best warm water diving the U.S. has to offer. 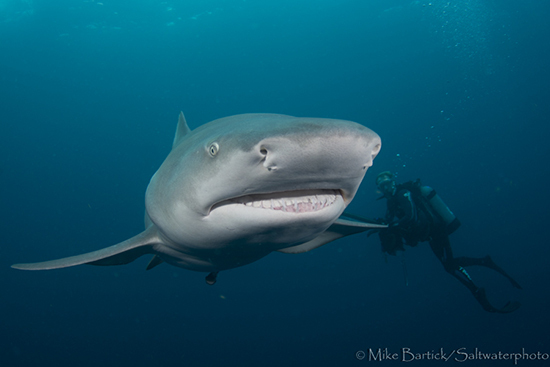 The BHB, The Wreck Treck, Sharks, Groupers and more are just the tip of the iceberg. My plan to return is already set for next year and the clock is ticking!